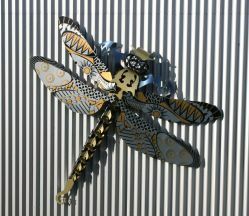 We’ve examined a multitude of artistic applications for our Dibond aluminum composite material. 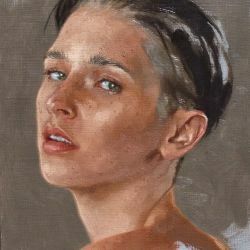 Over the years, artists have used it as a substrate for painting, a mounting substrate for their photography, a furniture medium and even a substrate for three-dimensional sculpture. The diversity of this product has expanded beyond our initial views of the applications of the material solely due to the creative minds of artists on a global scale. Over the past few years we have focused heavily on sharing client projects. 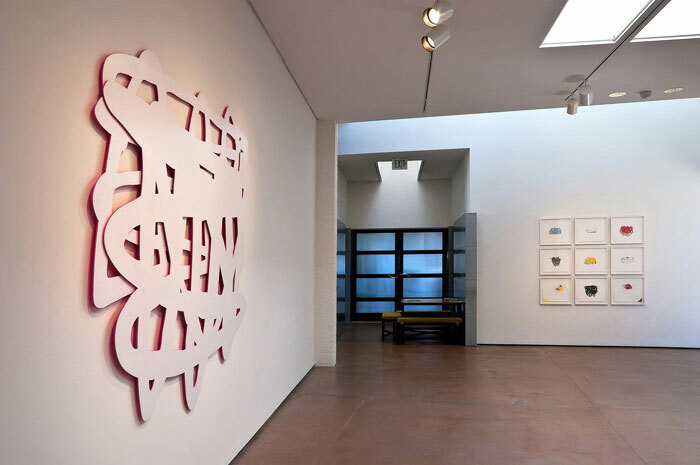 While this traditional signage material has been used in a variety of creative interior and exterior signage and display applications, we want to look back on what artists have done with this material to manipulate and ultimately transform it into literal art. 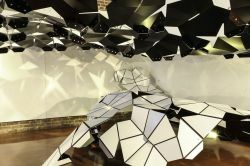 Graduate students were “Bending the Rules” in a recent exhibit at the Pratt Institute’s School of Architecture in Brooklyn, New York, with four full-scale architectural design pieces fabricated with Dibond aluminum composite material (ACM). The “Bending the Rules” exhibit was the culmination of students’ work in the fall 2013 “Scripting and Form” seminar in the Pratt Institute’s Graduate Architecture and Urban Design (GAUD) program. 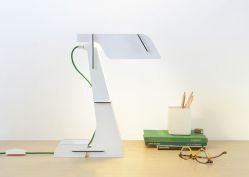 The Zeta lamp was designed with sustainability in mind utilizing a single sheet of Dibond ACM. The panels interlock so no hardware or adhesives are necessary in its assembly. The ability to be self-assembled from a flat-pack also decreased shipping costs, as minimum space is needed in distribution.